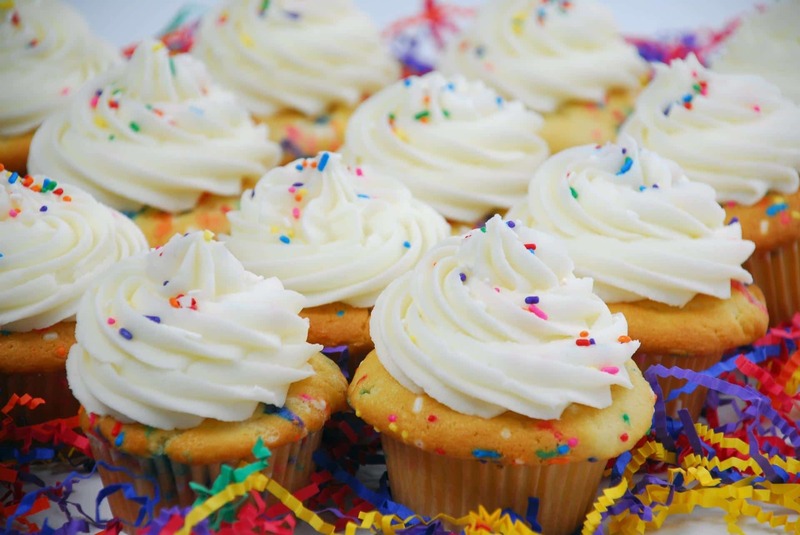 Need your cupcakes decorated to go with a specific theme or the colors? No sweat, and there’s no extra charge for sprinkles or colored sugar. We do charge extra, though for custom fondant decorations, colored buttercream, and more elaborate details. Cupcake pricing is in the chart below. They come in many sizes: mini, regular size, and jumbo. Contact Us for specialty pricing or if you need a creative idea for an upcoming event. Whether you buy one cupcake or dozens of them, they will look like a million bucks in our professional packaging. Normally, we’ll assemble your order in our signature pick boxes designed to hold twelve of these little beauties. However, we can also accommodate special packaging needs to best serve your theme and colors. This is often the case when corporate customers order individually packages cupcakes for their events. Check out our galleries for ideas. 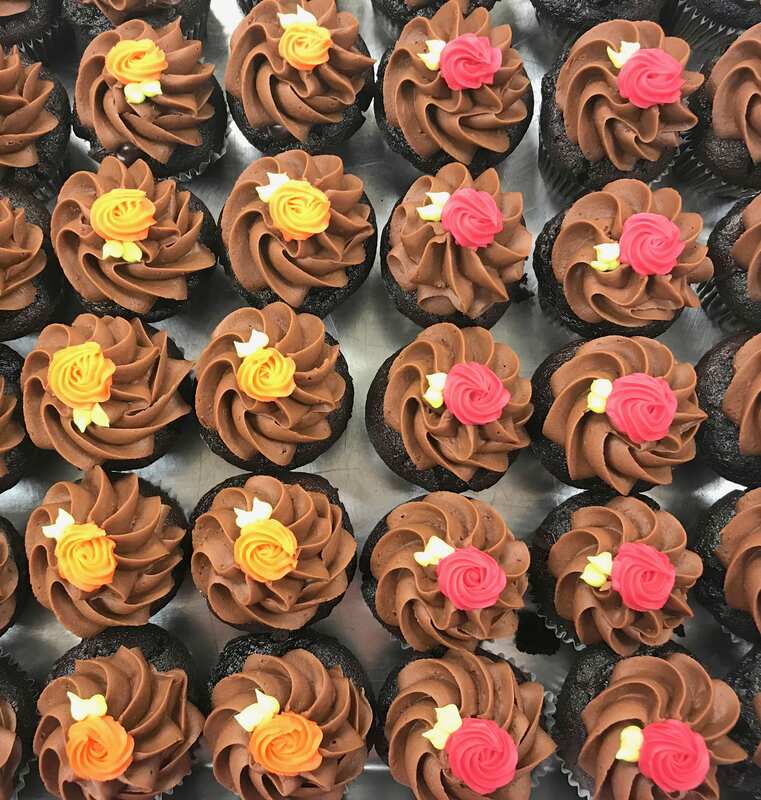 We make cupcakes for just about any occasion: wedding showers, baby showers, weddings, birthdays, corporate events, christenings, baptisms, graduations, sporting events, open houses, book clubs, bachelorette parties, grand openings, etc. 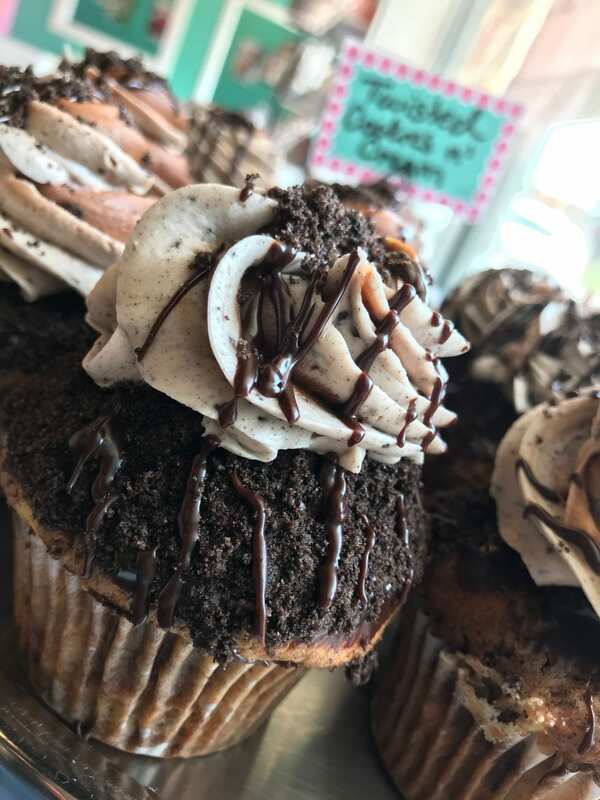 Sometimes a regular cupcake just isn’t enough! 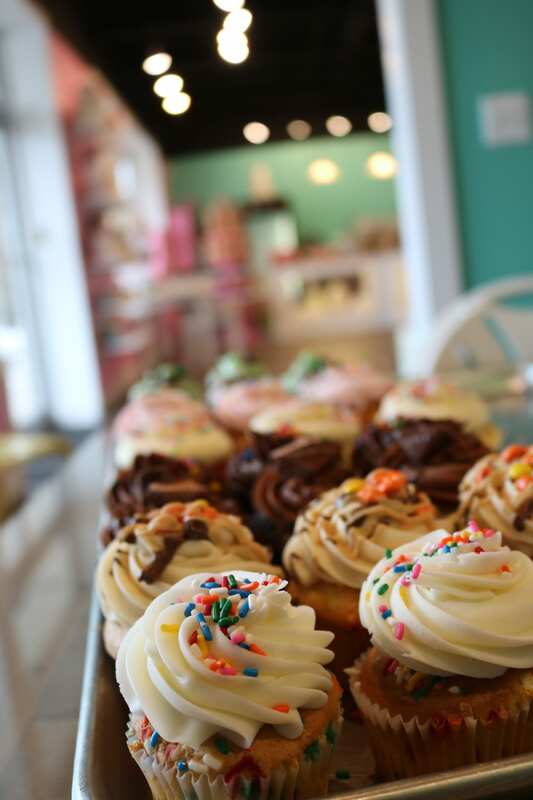 Our jumbo cupcakes are about twice the size of our regular ones and make a much bigger statement. These are not available daily in-store, but you can order them in advance. Try them as your next personalized birthday gift, special thank you offering, or smash cake for your favorite 1-year-old. 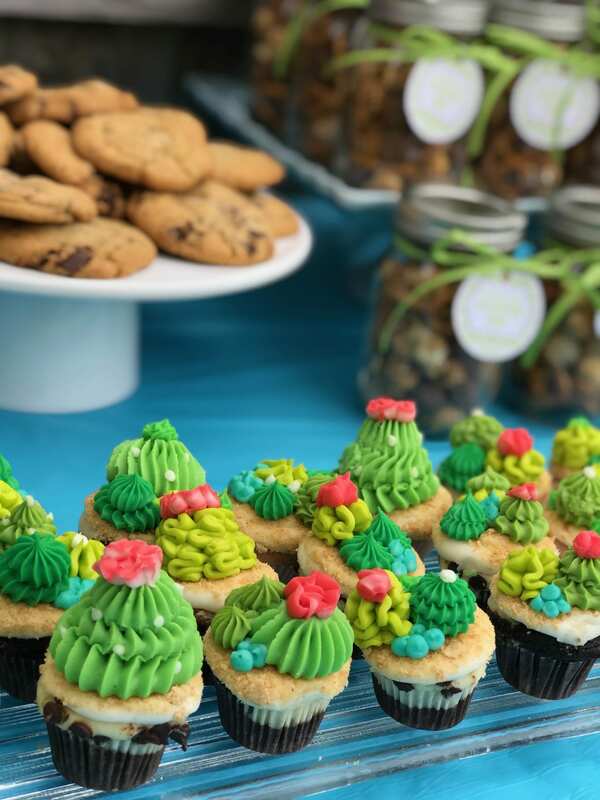 Mini cupcakes are a great addition to events when you want to provide a bite sized treat! They are approximately 1/3 the size of our cupcakes and provide just two bites or a taste. Try them at your next party, high tea event, or realty open house. 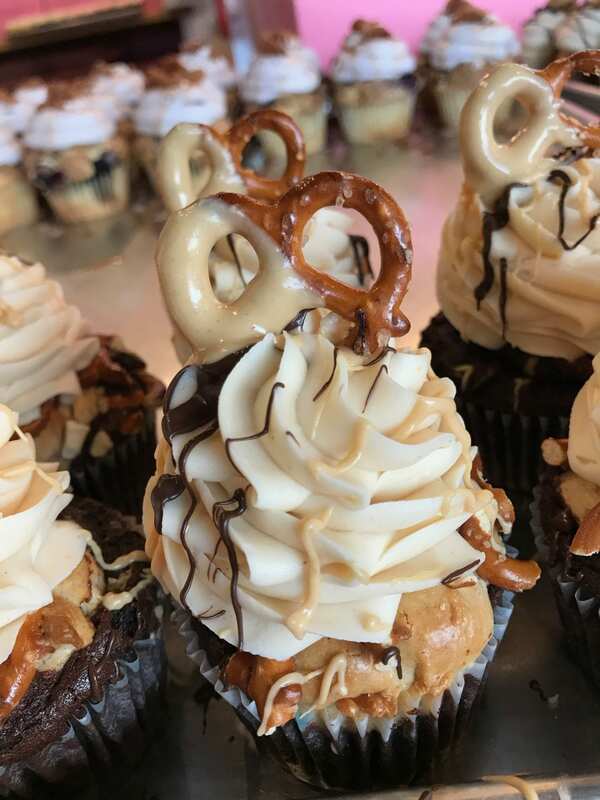 We don’t regularly stock mini cupcakes in-store, but we can prepare orders of 2 dozen or more in up to two flavors with a minimum of 24-hours notice. If you order a flavor that’s not on the menu for that day, the price is $42 for 2 dozen. 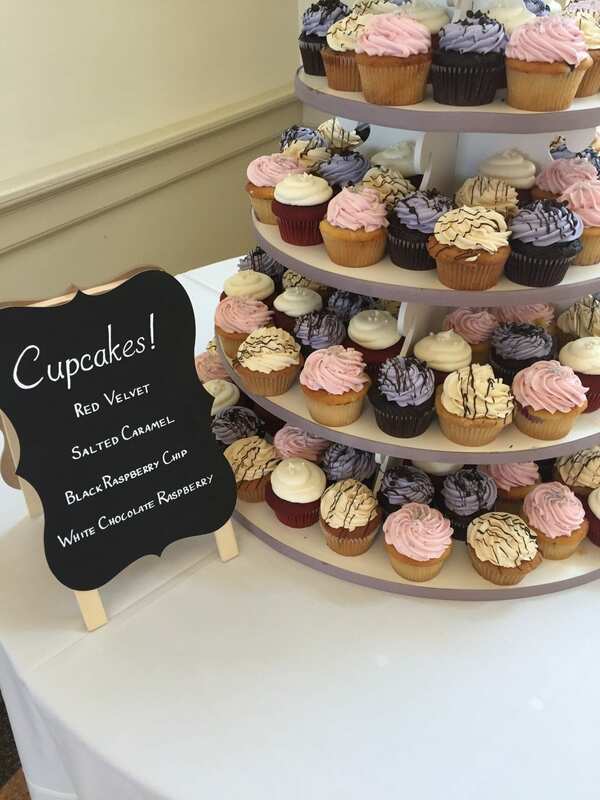 To find out the our flavors for the day of your event please call us at 513-984-1100. 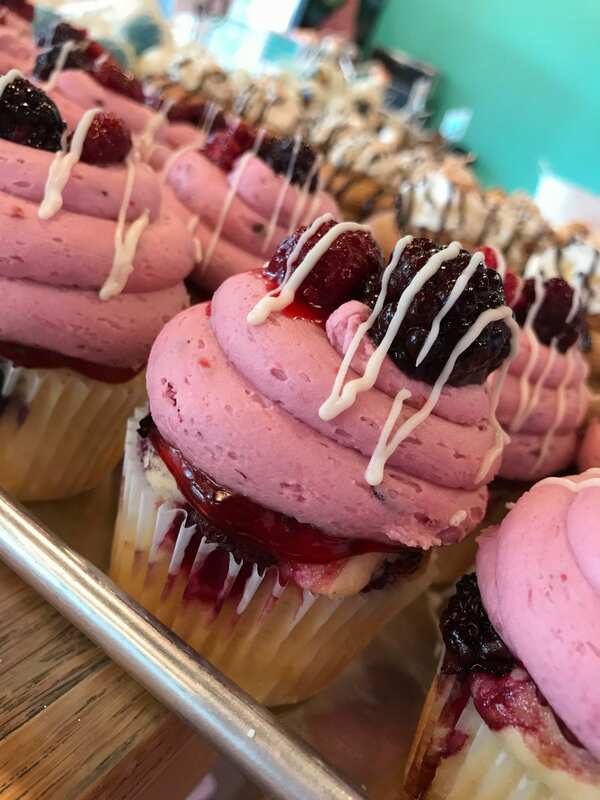 Many of our flavors can be made Gluten Free, if you order in advance. 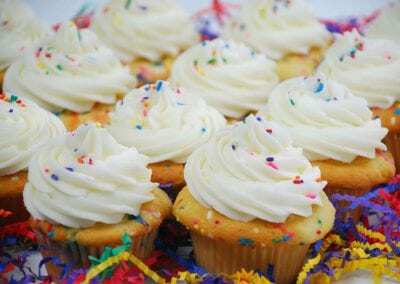 A minimum order is one dozen regular sized cupcakes. You must order at least 1 dozen per flavor.